Do Insects Really Come Up Through Drains? Many people have experienced the horror of going into the bathroom and discovering roaches crawling up from the drain. It is easy to think that the roaches are coming into the house through the drain from the sewer. Yet this is actually very rarely the case. Roaches usually come into the home through the most common expedient—the doorway. The first thing roaches will do when they enter your home is search for a water source. That water source is probably your bathroom sink, toilet, or kitchen faucet. The roach will go down into the drain to take advantage of the little bit of water that remains there. 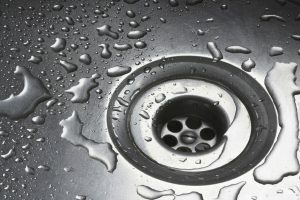 When the drain is disturbed or lights suddenly come on, it disturbs the roach and it comes out of the drain in a hurry. This is why it appears that they are coming out of the drains. The reason roaches can’t get into your home through the drain is because every drain has a P-trap that keeps water and sewer smells from coming back up into the home. As long as the P-trap is functioning properly, roaches can’t come up through the drain either. While it is technically possible, it is highly unlikely. If the P-trap is compromised, this could cause a problem. You will notice right away if the P-trap is no longer functional on a drain, because you will start to notice a smell coming from it. When this happens, it is more likely for roaches and other insects to come up through the drain. Making sure your P-traps are in good working order is the best way to protect yourself against insect infestation from that avenue. P-traps can become dry and stop working if a drain is not used frequently. One way to make sure that your P-traps remain moist and functional is to use the drain periodically, such as to dispose of mop water. Share the post "Do Insects Really Come Up Through Drains?"